If you tuned in or downloaded last week’s Half Ashed, you probably remember the brief discussion we had concerning our Cigar of the Week segment. In these early weeks of the show, Craig and I decided to supply each other with a number of cigars that we personally enjoyed – thereby creating a scenario for most weeks in which one of us is very familiar with the CotW, while the other may or may not be familiar with it at all. 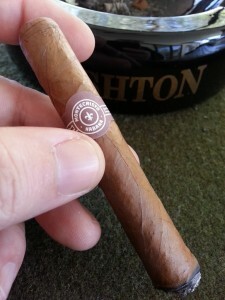 Such is the case this week – Craig has generously supplied the Montecristo Especial No. 1 (Laguito #1) from 1998 – one of his favorite cigars. I have never smoked this cigar. So, in essence, this is almost a “blind” review to me. I have no history; no connection with this cigar from which to build. This can be a bit of a handicap, but goes a long way in providing a clean slate. I have no preconceptions, prejudices, or feelings whatsoever about the stick, so it should be just about as unbiased as possible. These “Epilogue Reviews,” as we’ve taken to calling them, are meant to coincide with the CotW, and will be published by whichever of us did not supply the samples for the show. They will most often be more indepth than the conversation during each weekly Half Ashed podcast, but not quite as lengthy as a typical review I might publish here on The Cigarmy. So…let’s get on with it! 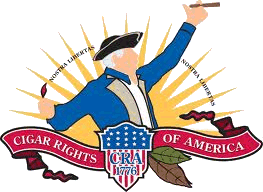 The cigars I received from Craig are about 7.5″ long, and by my measure somewhere around a 38-40 ring. They have a small twist, or pigtail, atop the cap. The wrapper has an inherently smooth surface, but an overall rumpled appearance (presumably from the nice, lengthy rest period to settle and constrict). It telegraphs every bump and crevice beneath, and is a light to medium brown. This first one I’m smoking for today’s Epilogue is remarkably light in weight. It has a faint wrapper aroma of a warm tobacco barn. At the foot, the aroma is similar but slightly sweeter and more potent than the wrap. After clipping, the unlit draw really catches me offguard. It’s considerably sweeter than I expected. Honestly, I don’t know what I was expecting…but the sweetness was a surprise. It provides a fair amount of cedar as well; I’m not sure if that’s from the blend, the age, the tobacco, or storage conditions….but I like it. At first light I’m caught by yet another surprise. I suppose I imagined a cigar with nearly 15 years of time at rest would be much more sedate than I find this. This stick jumped into the fire with both feet in terms of flavor. I get a good deal of zing through the nose, although it’s certainly not uncomfortable; just letting me know it’s there. The background flavor palette for that “zing” is toasty with a small amount of black pepper in the first few minutes. It doesn’t take long for the nasal tingle to dissipate, though. Within the first inch it has faded quite a bit, and has been replaced with a pleasant coffee, or mocha flavor that seems ever-so-slightly salty or astringent – more feeling than flavor. Those of you who follow my reviews will know that’s a great place for me to be. By the midpoint of this cigar, I am entirely surprised I haven’t fallen out of the chair with dizziness and cold sweats. I don’t find the cigar particularly strong – but I don’t believe I have ever retrohaled so much or savored the smoke for so long in any cigar I’ve ever smoked. What I find interesting is the interplay between the coffee-like flavors and those I would put into the cocoa family. Every time I begin to focus on that cocoa sweetness, it evaporates and is replaced by more coffee…or even toffee. It’s quite an entertaining dance, really. 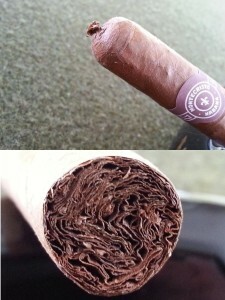 Going into the final portion of the Montecristo Especial No. 1, I find it a little stronger than I had earlier noted. I would still place it squarely in the medium range of the strength spectrum – but full in flavor. It takes on more of a leathery character during this final stage of the smoking for me, but still with that overarching dry cocoa that I have enjoyed throughout. The astringency (for lack of a better word) I mention above is more of a perceived dryness to the mouth while smoking, rather than a comment on the flavor characteristics of the cigar. I find some increase in this dryness toward the end, which I don’t regard in a negative light; I only mention it in passing. Overall, I truly enjoyed this cigar. I can clearly see why Craig is such a fan. The flavors are bold and clean, and this one smoked like a dream. They’re not exactly easy to get hold of….but given the opportunity one day I could see myself investing in these in the future for sure. Thanks for dropping by, and be sure to drop me a line at: [email protected] if you have any questions, comments, complaints. If you’d like to tune in to Half Ashed, either live on the second Friday of each month or recorded the other weeks, check out the Half Ashed page to get the information on where to find us. 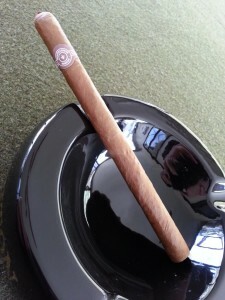 Your review on this Montecristo might be just a little to strong for me. 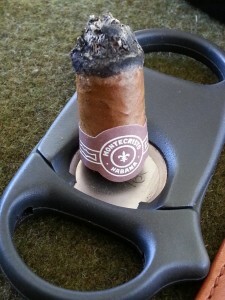 I’m sure I’ve smoked a Montecristo a few years ago, not sure which one, but that one was strong. Thanks for the info. I’ve had the Monte #2 and #4 before. The #4 and this one came across as much milder in strength than the #2, possibly because of the size? Also, this one had 15 years of time to settle down….very flavorful and medium in strength to my taste.